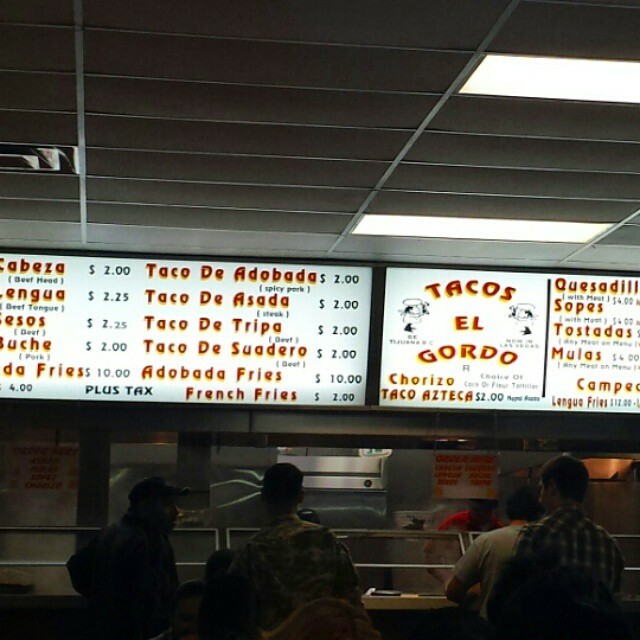 Our first visit to Tacos El Gordo wasn't planned. 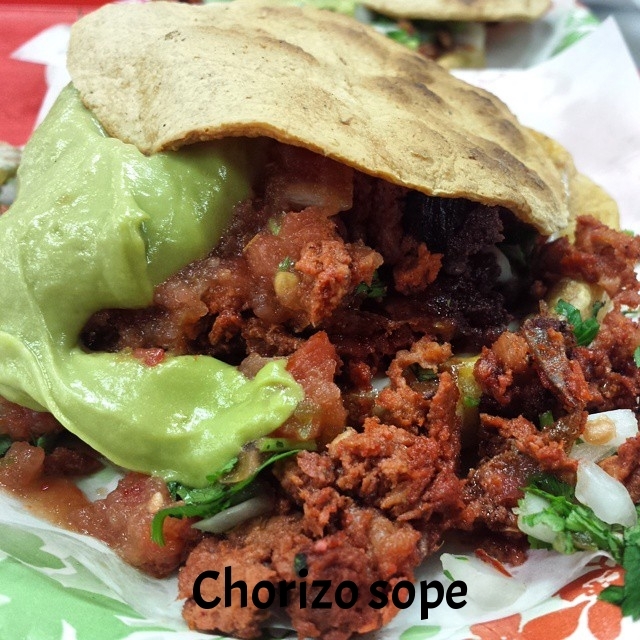 We had spent an afternoon at Frankie's Tiki Room with reservations for Bazaar Meat later that night, but were convinced by bartender Melo and not one, but three patrons, to visit nearby Tacos El Gordo instead. And we were glad we did. While that one has since closed, the Charleston Plaza location is still open. On our last trip we brought 4 friends visiting from the Boston area, who all agreed it was one of the highlights of their Vegas meals. 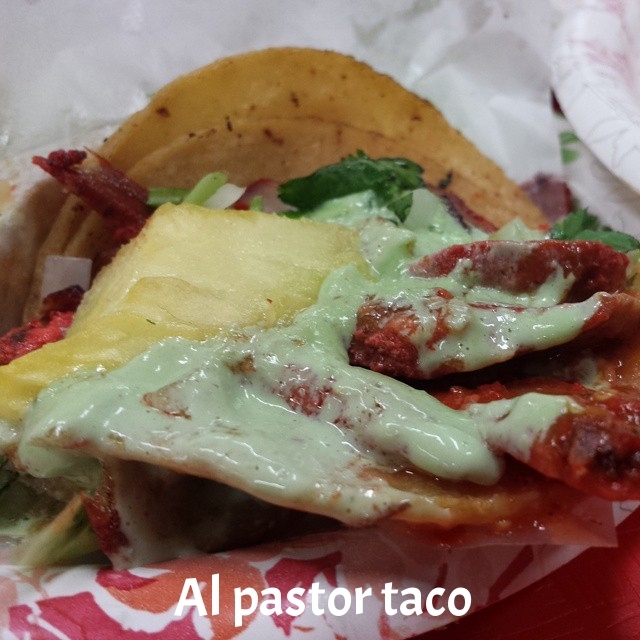 Don't be intimidated by the line as it moves quickly, and be sure to order at least one al pastor taco. Good news as of December 11, 2015. 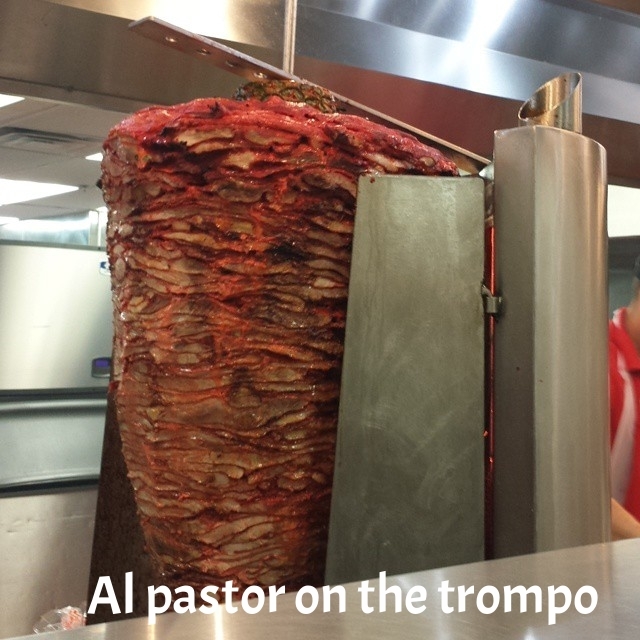 A Tacos El Gordo location returns to the Vegas strip at 3049 Las Vegas Blvd.